This should be a great movie. No more rubber suit. Godzilla as it was meant to be seen. 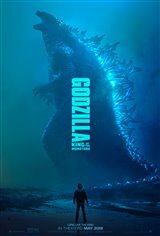 OH THIS SCI FI MOVIE GODZILLA KING OF THE MONSTERS IS VERY GOOD AND ACTION . AND WHAT DO YOU THINK ABOUT IT TOO ?